What would you do after being the leader of the free world for 8 years? The Obamas are taking a little bit of time off to relax and enjoy their well earned down time. 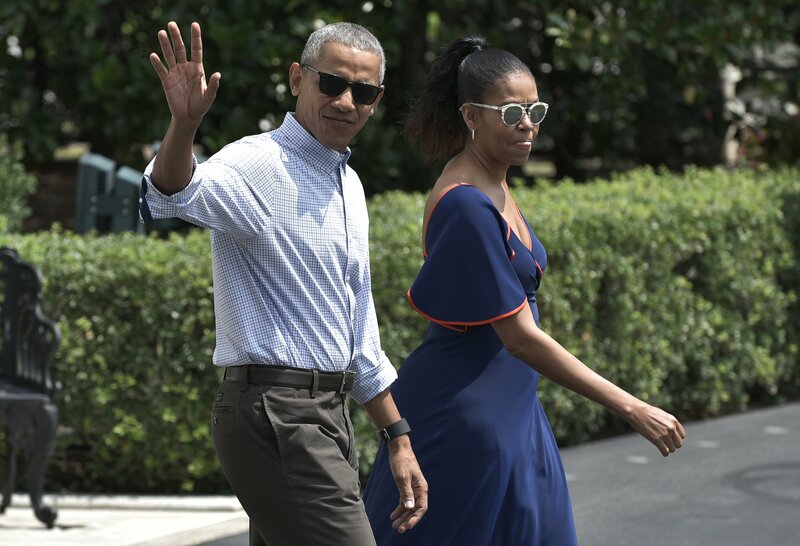 Former President Barack Obama and his wife Michelle Obama took a flight down to Palm Springs with their family in order to take a long weekend off before they head over to the British Virgin Islands. Michelle and Barack were spotted having a nice afternoon lunch with Richard Branson and the rest of his family in Anegada. Branson is a billionaire tat owns this group of islands, including Necker and Moskito. The Obamas had arrived to the Virgin Islands immediately after leaving the White House through a private jet that is owned by Branson. The family looked to be enjoying themselves as they soaked in that warm Caribbean sunlight. Rather than being dressed in business suits and formal attire, they instead were found in casual wear with polo shirts and comfortable shorts. Obama himself was seen with a baseball cap on, something he hasn’t probably worn in several years. Michelle wore loosely knit braids underneath a sun hat, dressed down in a long white dress. Although he may no longer be in office, Obama seems like he will still be dipping his toes into the political waters. Breaking his silence, he made a statement about welcoming the protests by the American people in response to Trump’s ban on certain countries from entering the United States. It came to him as no surprise that the American people were willing to fight to uphold “American values”. He also went a little further and pointed out the difference between his and his successor’s policies on the subject. Obama had released a pause on visas to citizens of Iraq, while Trump has outright banned people from at least 7 countries for 90 days. Once their vacation ends the Obamas will be moving into a large nine bedroom mansion located in Washington DC. This home is valued at 4.8 million and will be a wonderful place to settle down while their daughter finishes her schooling.